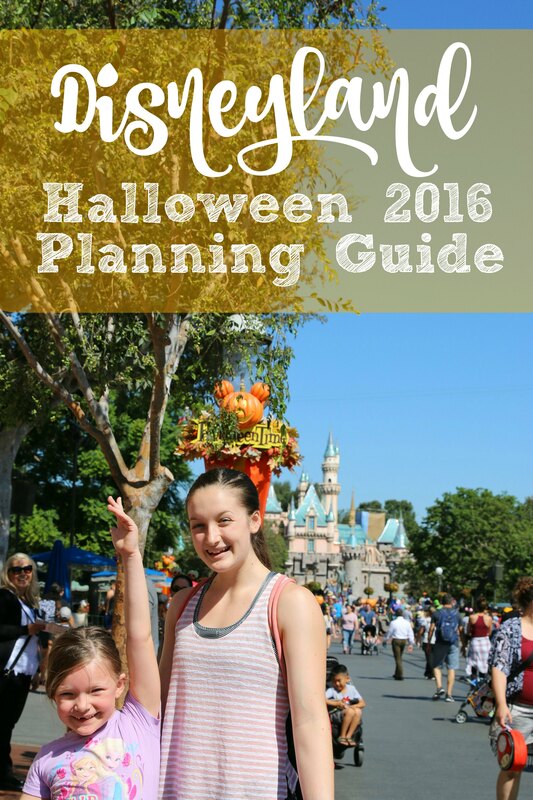 The Complete Guide- 2016 Halloween Time at Disneyland – It's a Lovely Life! 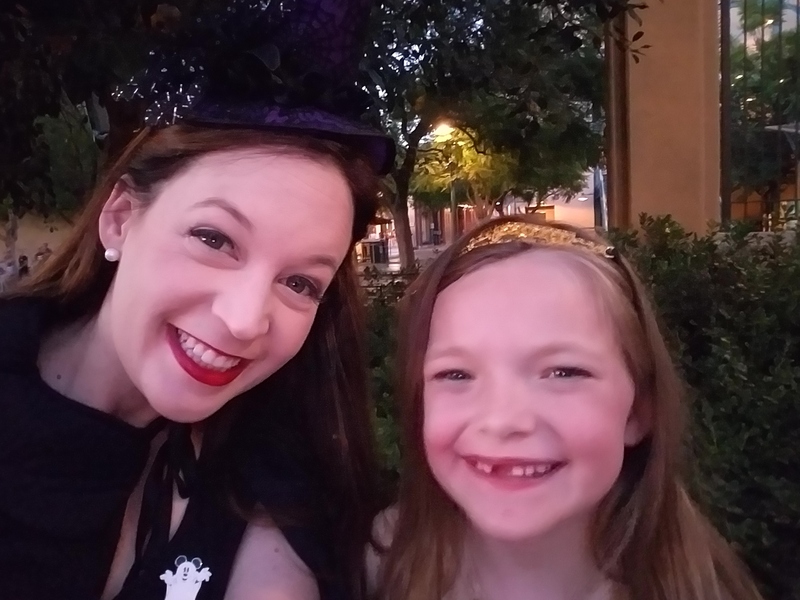 Halloween Time at Disneyland is one of our favorite times to visit. 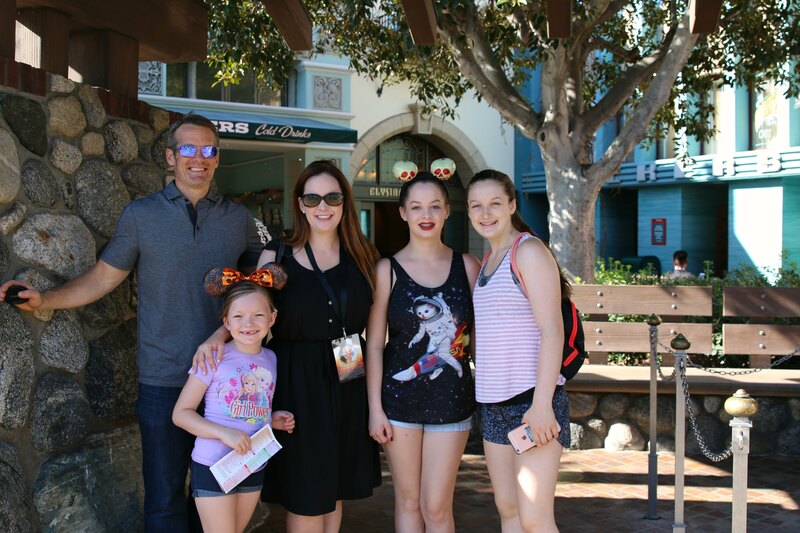 We were so excited to be invited to enjoy Disneyland during Halloween and we couldn't wait to share it with you all! We even have some videos below that show even more fun! From the decorations on Main Street. 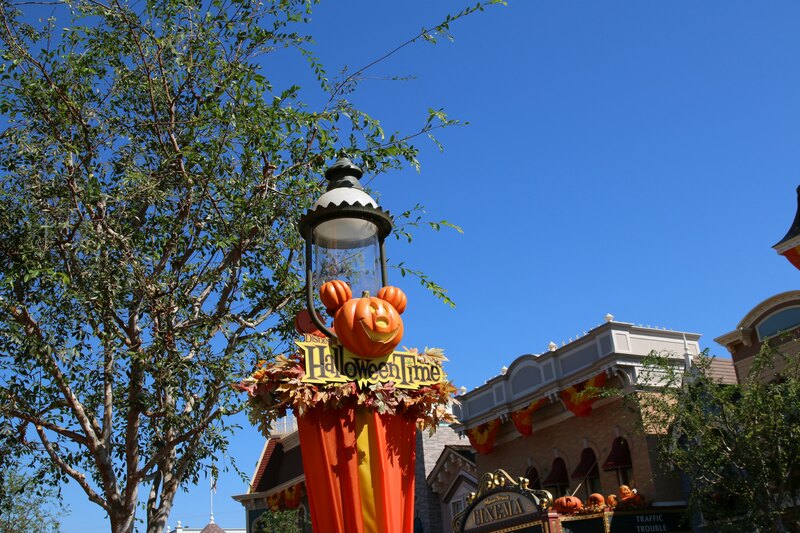 From the decorations on Main Street USA, to the holiday sweet treats, a day at Disneyland totally kicks off the Fall/Halloween season like nothing else can. 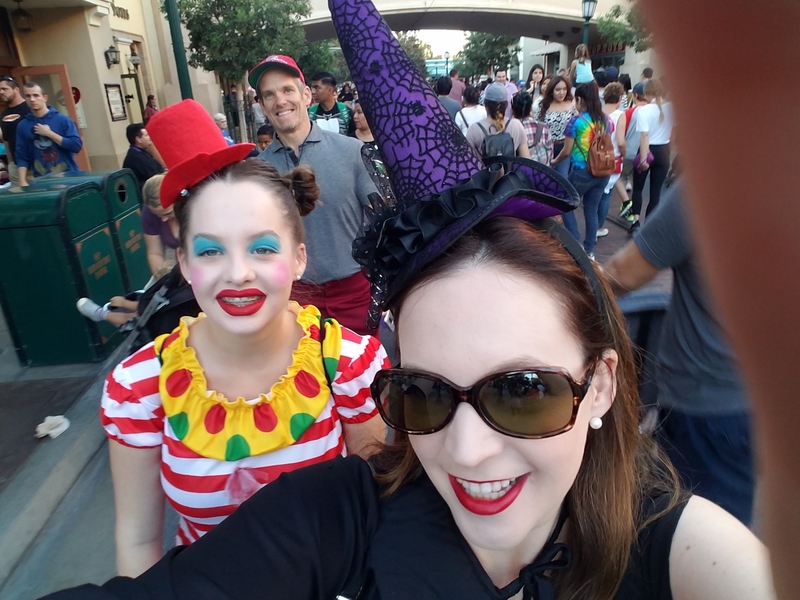 Each year we have a tradition of going to Mickey's Halloween Party for some not so scary trick or treating and this event's popularity just keeps growing. So much so that it has already sold out for the year! I'll share a bit about the party below, but this should definitely be something that you plan to do next year. Be sure to buy your tickets right when they go on sale since they sell out so quickly. 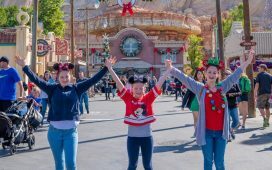 Even though we love Mickey's Halloween Party, and I encourage everyone to go, there is still so much fun to be had at Disneyland this time of year even when not attending the add-on ticket party. Just remember that the season runs from Friday, Sept. 9, through Monday, Oct. 31 so don't delay! 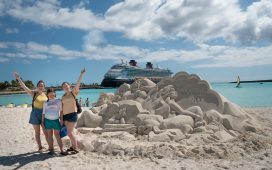 When we arrived at the parks we headed over to Disney California Adventure Park. There is something really cool happening over there and it is The Twilight Zone Tower of Terror Final Check-out Celebration! The invitation to check into the Hollywood Tower Hotel is even more urgent now as The Twilight Zone Tower of Terror approaches its final check-out date, Jan. 2, 2017. 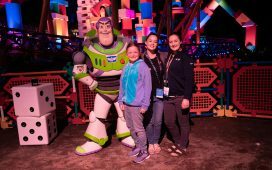 During this celebration, guests who arrive after twilight will enjoy “Late Check-Out”–-a chance to venture beyond the fifth dimension into complete darkness. 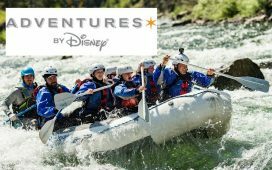 It’s something guests have never experienced before with free-falling in the attraction’s haunted elevator shaft with all the lights out. The Twilight Zone Tower of Terror celebration also includes special musical performances, commemorative merchandise, and specialty food and beverage items. Performing at the Hollywood Tower Hotel are the Silver Lake Sisters, characters from the story of this famous hotel who once performed at its rooftop lounge. The sisters make their return to the Hollywood Tower Hotel during Halloween season. Pete, Ash and Maddie all did the “Late Check-Out” and said it was really spooky and made the ride feel totally different. If you are into scary rides you have to do this. I'm a chicken, so I stayed behind with Emmy. People start to line up about a half hour before dusk, so check in early! This is one of those once in a lifetime things and they were so happy they got to experience it. 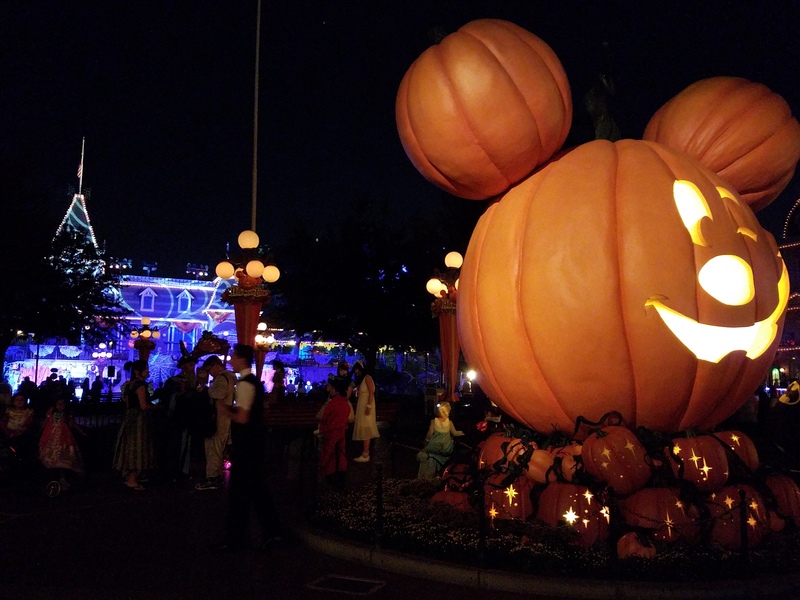 Back in Disneyland is where you are going to find the majority of the Halloween festivities, including the famous giant Mickey Mouse jack-‘o-lantern on Main Street, U.S.A.. 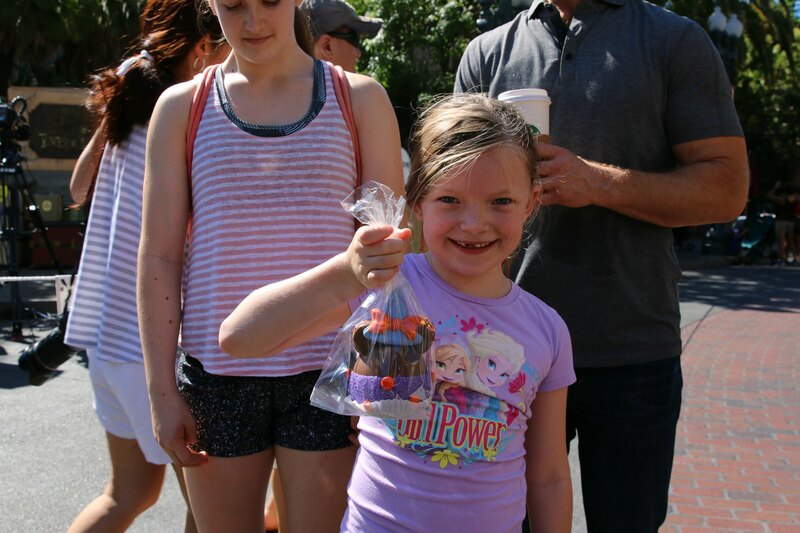 Both parks have sweet treats like this decadent apple (video below about how it is made) so feel free to indulge in either place! 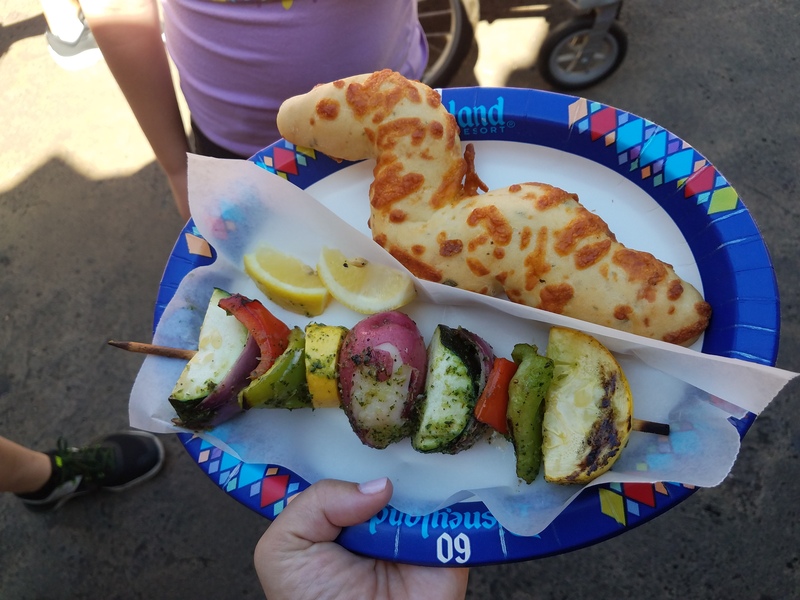 We also found some new favorite foods that are not even holiday related, they are just delicious so I had to share. Bengal BBQ has veggie kabobs that are delicious and vegan without the pesto and vegetarian with. Emmy's favorite new snack is the “tigers tail” (aka a cheesy breadstick) at the same place. 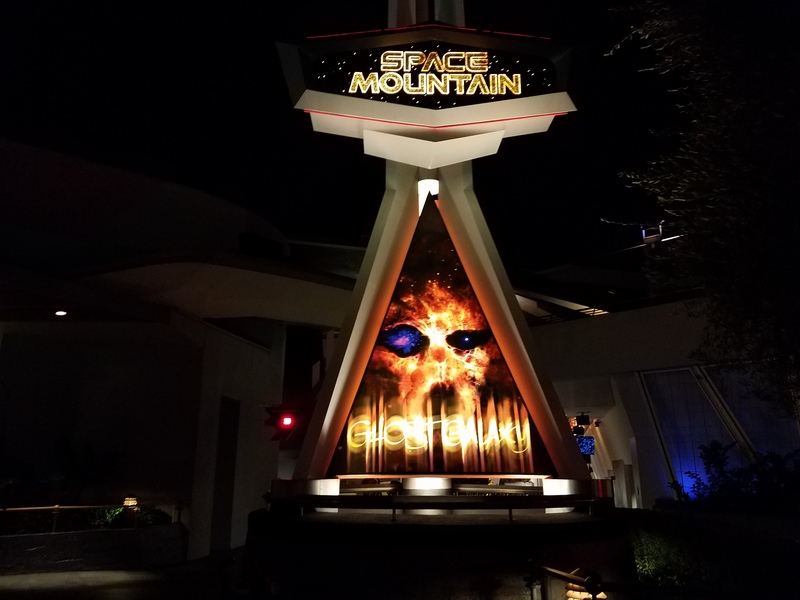 Back to Halloween time, another Halloween favorite is Space Mountain Ghost Galaxy, a Halloween themed re-imagining of the popular thrill ride in Tomorrowland, at Disneyland. Guests on board the speeding Space Mountain vehicles are thrust into a ghostly galaxy where they are bombarded with eerie screams, sound effects and music. Spine-chilling spirits pop out of the darkness, appearing to reach out to menace the space travelers. 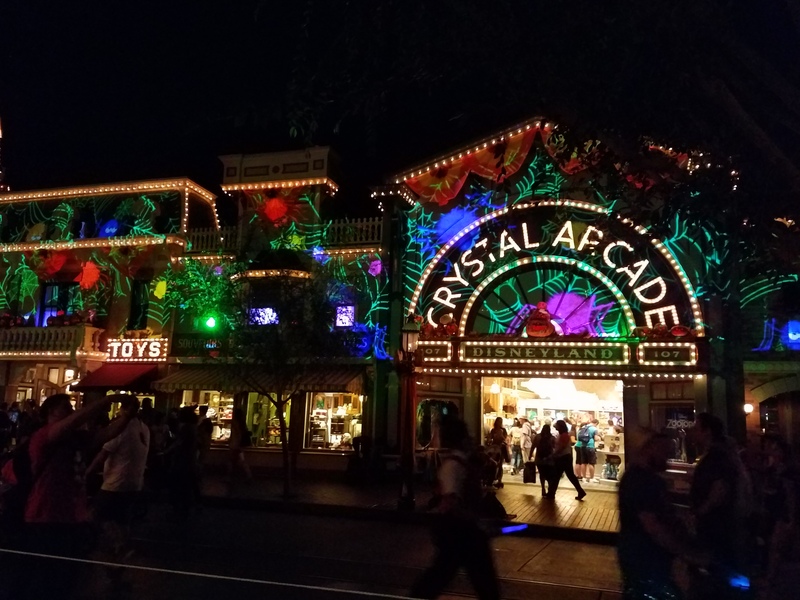 For those of you headed to Mickey’s Halloween Party this year, you will LOVE the new “Frightfully Fun Parade,” seen exclusively on the 17 nights of this separately ticketed event at Disneyland. The Headless Horseman of Sleepy Hollow (from the Disney animated classic “The Adventures of Ichabod and Mr. Toad”) brings a warning to guests, riding through the park on his ghostly black steed with a flickering jack-‘o-lantern. (Side note- I saw him and he was just enough spooky to be cool and not enough to be scary). Shortly afterward, the parade begins with greetings from Jack Skellington, the Pumpkin King from Tim Burton’s “The Nightmare Before Christmas.” Grim, grinning (and hitchhiking) ghosts follow along in the procession, joined by other spirits from the iconic Haunted Mansion attraction. Inspired by Disney’s “The Princess and the Frog,” the creepy Dr. Facilier calls on mystical powers, summoning his Shadow Men from the bayou to loom large over his strange and twisted Voodoo parlor (we interviewed the Dr. below in our video!). Mischievous Disney villains appear out of the darkness, ready to stir up some trouble, and their wicked gathering includes the Evil Queen, Jafar and Cruella. This is the one time of year that we all get decked out in costumes. Emmy was Evie from Descendants (again). She is so excited for the new movie! Pete was a gym teacher, Ash a nerd and Maddie a happy clown! I was my usual, a witch! During the Halloween Time celebration, the traditional Mexican celebration, “Dia de los Muertos,” is observed with a skeleton display in Frontierland, near Rancho del Zocalo restaurant. 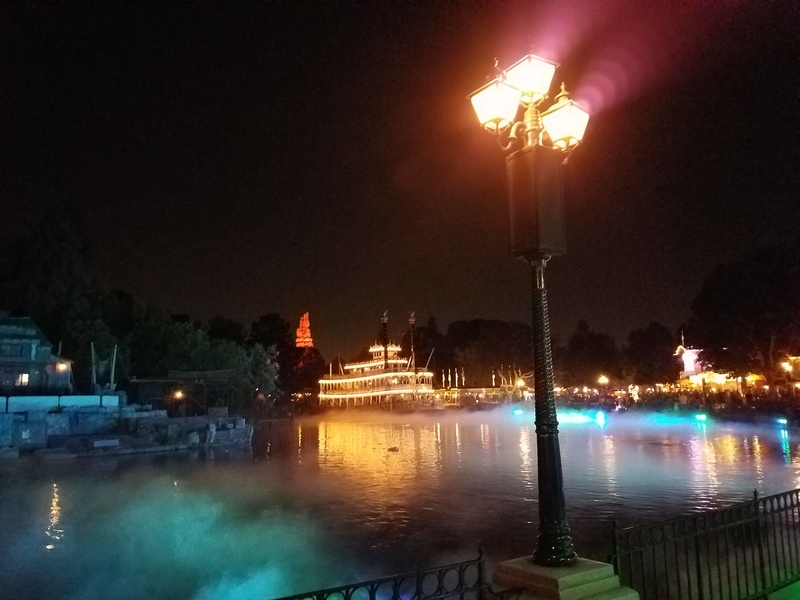 As a special, after-dark treat during the Halloween season, guests visiting Disneyland on select nights will enjoy the “Fantasy in the Sky” fireworks spectacular. During the day, the dynamic “Mickey’s Soundsational Parade” marches down Main Street, U.S.A., throughout Halloween Time at the Disneyland Resort. Haunted Mansion Holiday returns to celebrate the collision between Halloween and Christmas, and a familiar guest moves into the Mansion: Jack Skellington from the Walt Disney Pictures classic “Tim Burton’s The Nightmare Before Christmas.” Jack Skellington brings a unique spark to the season and, for the first time, his friend Sally joins him in the Mansion graveyard. The annual Haunted Mansion Holiday gingerbread house is back with a new theme. This year’s version appears to have been stitched together from pieces of other gingerbread houses and treats. In fact, the ghoulish architect has stitched himself inside the house, and one green arm still may be spotted, sewing the walls together around him. 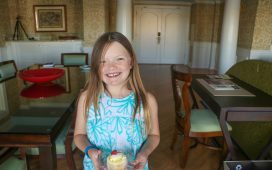 We rode through the Haunted Mansion multiple times on our visit because there were so many new things to see, and we could even smell the gingerbread house! See if you can too! 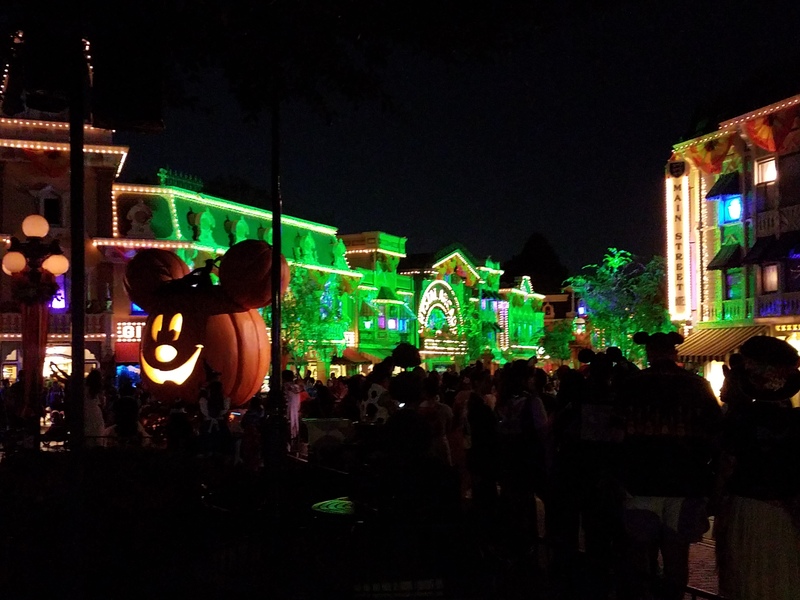 Have you been to Disneyland during Halloween time? 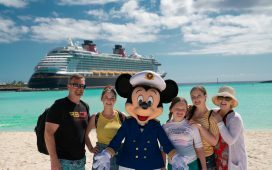 I have never thought about spending the holiday at Disney World. What a great idea.